Sir Humphry Davy, widely considered to be one of the greatest chemists and inventors that Great Britain has ever produced, is highly regarded for his work on various alkali and alkaline earth metals, and for his valuable contributions regarding the findings of the elemental nature of chlorine and iodine. He was the first person to isolate potassium, sodium and boron and he also invented the miner’s safety lamp. Humphry was born on December 17, 1778 at Penzance, Cornwall in the south-west of England, the elder son to middle-class parents who owned a small farm. He was naturally a gifted and sharp boy who attended a grammar school and could write impressive fiction and poetry. At sixteen, his father died and the following year he became a surgeon’s apprentice. After the tragic event of his father’s death, Gregory Watt, son of the famous Scottish inventor James Watt, came to visit him and subsequently became a lodger in the house of Mrs. Davy, his mother. They became great friends and their strong relationship had an important influence on the later career of Davy. Mr. Davies Gilbert was a huge source of inspiration and encouragement for Davy, who later went on to introduce him to the Royal Institution in London. Dr. Thomas Beddoes, an eminent English physician and scientific writer, founded the “Pneumatic Institution” in Bristol, and Davy became associated with it in 1798, being appointed chemical superintendent. Within one year, Davy wrote his legendary publications “Essays on MAI and Light, with a New Theory of Respiration” and “Researches, Chemical and Philosophical, chiefly concerning Nitrous Oxide and its Respiration”. Both of these works instantly gained worldwide recognition. Davy was not only the first scientist to reveal the peculiar exhilarating or intoxicating properties of nitrous oxide gas, but his “Researches” also featured the results of various interesting experiments on the respiration of carbureted hydrogen, nitrogen, hydrogen, carbonic acid and nitrous gases. Davy delivered his first lecture at the newly founded Royal Institution in 1801 and instantly became a popular figure there. His tenure as a lecturer was immensely successful and he researched voltaic cells, an early type of electric battery. In 1806 English he discovered that chemical bonding was electrical in nature and that he could use electricity from his voltaic cells to split substances into their basic building blocks – the chemical elements. During his second Bakerian lecture at the Royal Society in 1807, he made public his tremendous achievement – the decomposition by galvanism of the fixed alkalis and isolating the metals, potassium and sodium for the first time. He performed a demonstration that these alkalis are simply metallic oxides. These discoveries are said to be the most important contribution made to the “Philosophical Transactions” (of the Royal Society) since Sir Isaac Newton. In 1811 Davy concluded that chlorine was an element, naming it chlorine, from the Greek word ‘chloros,’ meaning pale green or yellow-green. Other important books of Davy include “Elements of Chemical Philosophy” (1812), “Elements of Agricultural Chemistry” (1813) and “Consolations in Travel” (1830). 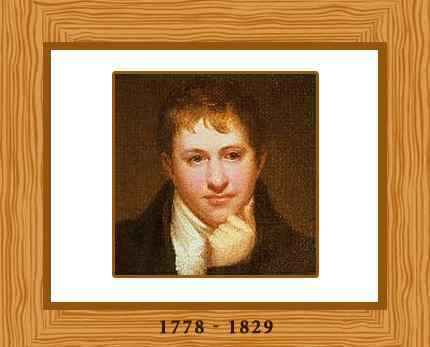 Davy carried out research for the Society for Preventing Accidents in Coal Mines, which led to the invention of a safe lamp in 1815 for coal miners, named the Davy lamp in his honor. The lamp consisted of a wick lamp with the flame enclosed inside a mesh screen. Davy was knighted in 1812, after which he married a rich widow and socialite, Mrs. Jane Apreece. He was made a baronet in 1818 for outstanding contributions to his country and mankind; most importantly, his invention of the safety-lamp. He was promoted to the president of the Royal Society in 1820 and he performed his duties for seven years. He was a founding Fellow of the Zoological Society of London in 1826. His health began to decline in 1827 which caused his resignation from the Royal Society. Davy died at Geneva on May 29, 1829 aged 50.